Dubliners are a hardy bunch when it comes to the water that surrounds them. Swimming is not something you do in the summer, it’s a year-round activity, a pastime deeply linked to community, tradition and a genuine love of the sea. 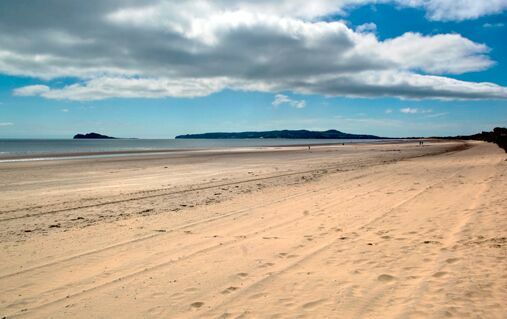 The Velvet Strand in Portmarnock is just one such spot that sees 365-day-a-year swimmers – great fun, even if you’re just there to watch! But it’s not all about donning a swimsuit. 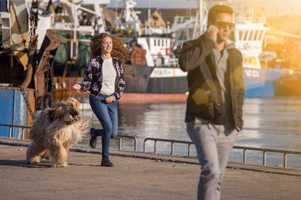 The villages of Howth and Malahide are huge draws for angling – think mullet, flounder, cod, whiting, mackerel and ray as your prime targets – resident seals might even pop up to give you a hand. 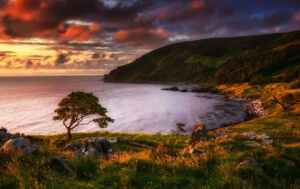 Give shore fishing a try from the piers, coves or rocky shores, or maybe charter a boat from Dublin Fishing Charters for some offshore fishing – you can generally hire rods and tackle on the spot. In 2015, Dublin Bay was designated a UNESCO biosphere reserve, thanks to its cultural and biological diversity. 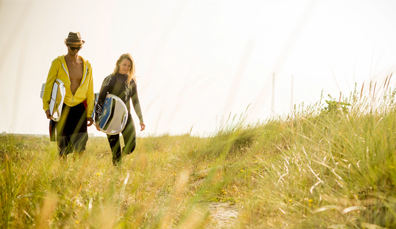 If you’re looking for more of an adrenaline kick, pop down to Dollymount Strand on Bull Island. Kitesurfers have made this shallow and open stretch of beach their own. Stand-up paddle boarding and kayaking are also big news – and it certainly gives you a very different perspective on the city! Watersport novices should head to the sheltered water of Grand Canal Basin, where people such as the highly skilled instructors at Surfdock can kit you out and take you on an urban odyssey via any water-based means possible! 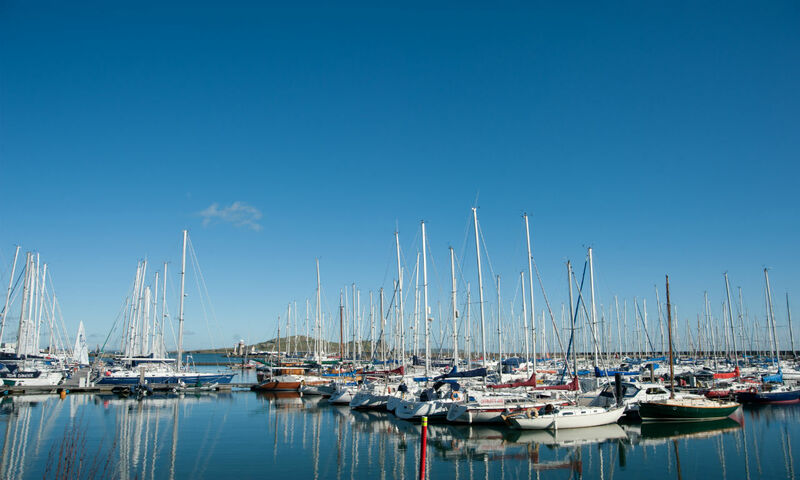 Jump on a boat from Howth, and in just 15 minutes you’ll be in a different world. Just you, the seals, and wonderful views of the North Dublin coastline. Take the Fish and Trips tour around Lambay Island from Malahide – and don’t forget to say hello to the passing seals and dolphins on the way! When is an island not an island? When it’s a low-lying sandy beach in Dublin Bay. A UNESCO biosphere reserve, Bull Island is worth a visit for the wildlife alone. In Sandymount, it’s all about the tide. 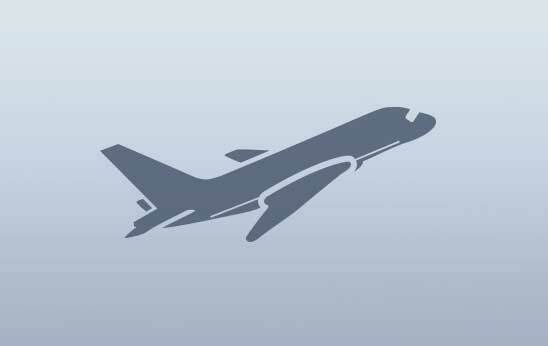 Visit when it’s out, and you’ll feel like the beach stretches out to bump into the horizon. 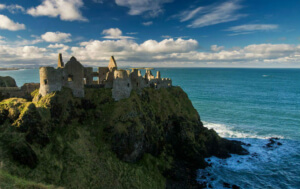 Go there at high tide and the gentle waves lap up against the wall, with a gorgeous green hue to the water. Immortalised by James Joyce in his novel Ulysses, this space is the first huge stretch of sea you come across on the Dart out of Dublin. Dun Laoghaire’s harbor tells of how connected the town is to the water – sailing vessels bob up and down, and no less than three sailing clubs have made their home here. Kids and adults alike come here to figure out their port from their starboard in yachts, ribs and dinghies, with life jackets to match. If all that sounds too much like hard work, maybe take a cruise from here to Howth on Dublin Bay Cruises. 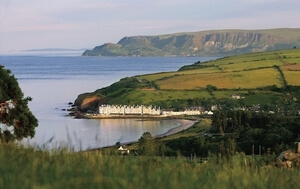 The further south you go, the more people you’ll see swimming in the sea. 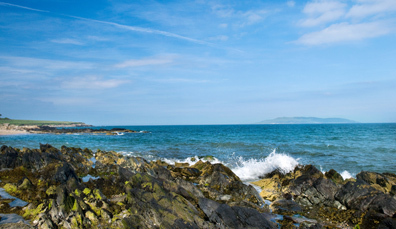 Confident swimmers jump off rocks into the 40 Foot – queues form to get in for the traditional Christmas day swim – while literally just around the corner, and overlooked by the James Joyce Martello Tower, is the more sheltered Sandycove, with its small sandy beach. Dalkey is up next – a village known for its famous residents, including film director Neil Jordan, who has been spotted more than once swimming from the steps of his Dalkey home. 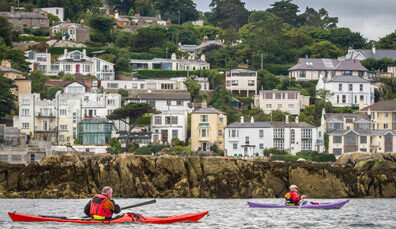 The current can be strong here, but guided kayaking and boat trips – especially to Dalkey Island – are a favorite. Diving enthusiasts take things a step further: these waters are a popular location to take a trip beneath the waves. You may even come across some wrecks that have succumbed to the water around Dalkey Island and The Muglins. 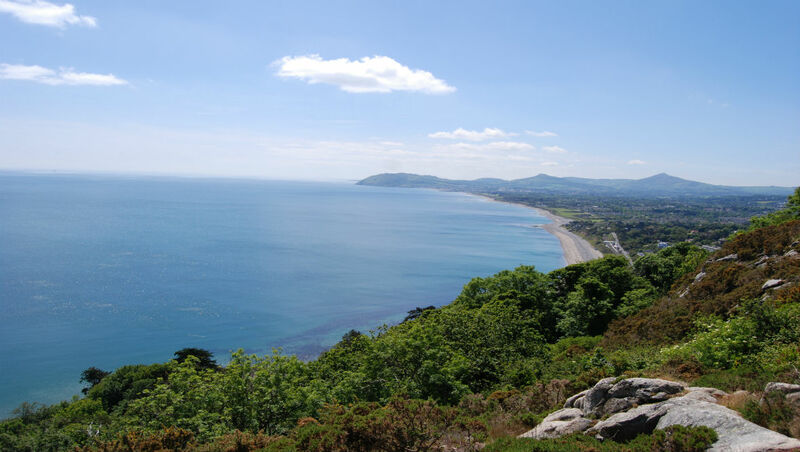 Our last coastal stop is Killiney Bay, with views stretching out to Bray Head and a shoreline that’s often compared to the Bay of Naples. The beach is long, stony and gives a great sense of space. You can access it right beside Killiney Dart station. Along the nearby Vico Road, you might even come across the secret, local swimming spots of White Rock and the Vico Bathing Place. Trust us, it might feel cold, but you’ll be grand when you get in. 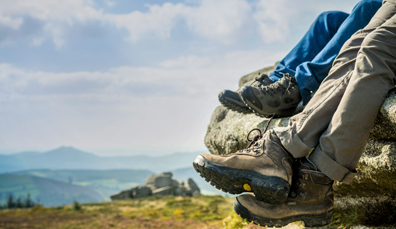 Just minutes from Dublin city centre, these scenic walks range from cliff loops to mountain hikes. 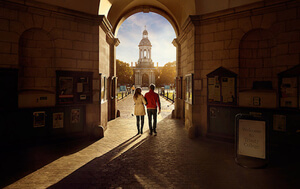 Scattered along the coast, Dublin’s villages boast stunning seafood, quaint harbors and easy access. 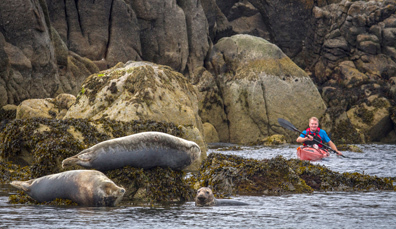 Seals, cliffs, islands, still waters and an unforgettable day kayaking around Dublin Bay.